USDJPY’s downside movement from 114.54 had completed at 105.05. Range treading between 106.00 and 110.50 would likely be seen in the coming days. 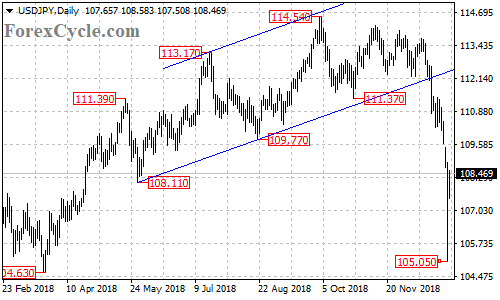 As long as 110.50 resistance holds, the downtrend could be expected to resume, and another fall towards 105.00 is still possible.